Cable operator, Midco, has now also joined the league of operators in the fixed wireless goal. Midco is a middle-tier cable operator with over 380,000 clients across North Dakota, South Dakota, Kansas, Wisconsin, and Minnesota. This organization recently opted for the wireless technology primarily because it is easier and cheaper to deploy than its fibre counterpart in rural and underserved locations. As a matter of fact, one of the top executives of the organization mentioned that he uses the Midco Fixed wireless service in his rural farmstead at North Dakota due to the fact that the wired services of the company is yet to be deployed in the location. According to the Midco director of government relations, Justin Forde, the fixed wireless service has been a wonderful asset to his family. He elaborated further by stating that normally, his three kids regularly stream videos and other contents, while his wife uses the internet for her small business, and it has been servicing the family in a great way. In February, Midco took over InvisiMax, the Minnesota based fixed wireless operator, after collaborating with the organization to implement wireless services in North Dakota, Brooktree Park. According to Justin Forde, Midco is in the process of extending the fixed wireless service into the rural locations more broadly within the footprint of the operator. He stated that the Midco fixed wireless offers internet connectivity to customers at a speed of up to 50Mbps download, and a minimum of 10Mbps upload, depending on the needs of the customer. He went further to mention that data travels across Midco fibre network to another tower being fed by the company’s fibre, known as ‘fibre backhaul tower’. After this, the signal gets broadcasted across towers and finally to the customer that is using the spectrum. Fixed wireless offers an opportunity to expand to remote, underserved, and rural areas up to fifty miles away from the fibre network. This solution can be deployed relatively fast and without the expense and effort required in building fibre networks. He also mentioned that the company can deploy its new fixed wireless networks in the course of the winter months, especially in conditions where the weather makes it almost impossible to construct fibre. 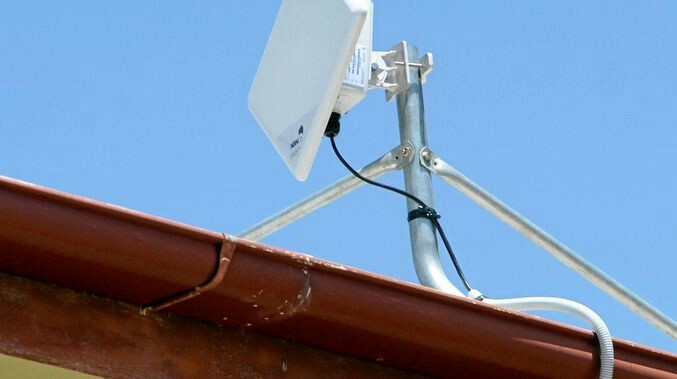 Fixed wireless makes it possible for the company to provide internet service in areas where the terrain makes it practically impossible to offer fibre internet connectivity. Forde highlighted some examples of locations which include the Badlands in South Dakota and North Dakota, the limestone cliffs of Eastern Minnesota, and the granite fields in North Minnesota. The latest technology allows Midco to attain vast regions of farmland where it is economically non-feasible to pass fibre through each farm. Established in 1931, Midco first began offering cable internet services in the year 1996. The company is the only established company within the telecom industry that has started moving in the direction of fixed wireless technology. Other companies, including Comcast, Charter, AT&T, C Spire, and Windstream are top telecom companies that are in the process of deploying or testing various options of fixed wireless services. Many stakeholders believe that this trend might increase due to the availability of the 5G technology. Gilbert A Darrell is the Founder of Horizon. He has 18 years experience in information technology and telecom solutions, a veteran in Fire and EMS Services, a crypto enthusiast and a member of the Bermuda Government’s Cryptocurrency Task Force. Horizon Communications is an upcoming fixed wireless internet and cellular service provider looking to provide services in Bermuda, the Caribbean, and Central America before expanding internationally, utilizing 4th generation and soon 5th generation wireless technology and incorporation of blockchain and cryptocurrency technologies.